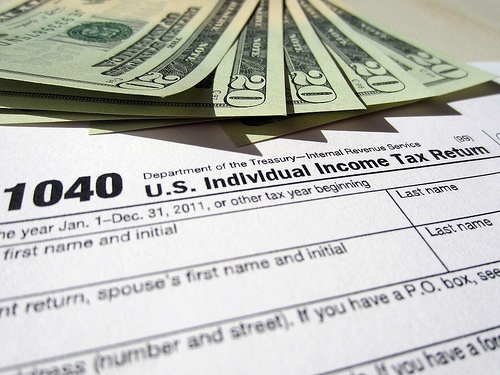 Do not sign your tax returns without speaking with your NJ divorce attorney first. It is surprising how many people who consult with me label their spouses "control freaks." Many people, usually (but not always) women, find themselves in marriages where they have become used to doing what their spouse tells them what to do, especially when it comes to finances. Indeed, this is the time of year when husbands sometimes try to unfairly control their wives into signing tax returns that the wives have not yet read, only to then try to use the fact that the wife signed the tax returns against her in the divorce case. This is not a discussion about whether taxes are good or bad, or whether our tax system is fair or unfair. There is certainly enough published about those topics already. Indeed, Justice Oliver Wendall Holmes once noted that "Taxes are the price we pay for a civilized society." If you drive a car, I'll tax the street, If you try to sit, I'll tax your seat. If you get too cold I'll tax the heat, If you take a walk, I'll tax your feet. So the issue is not whether you should pay taxes or should not pay taxes, or whether your taxes are too high or too low. Rather, the issue is what do you do the middle of April when suddenly your estranged spouse puts tax returns in front of you and tells you to sign on the dotted line without first giving you a fair amount of time to review the tax returns first? If you sign the return that is being handed to you at the last second, know that you are stating under oath that the information is accurate on the return and that you agree that you owe any money due in connection with the return. It also means that you owe any money the IRS decides is due after they finish having their way with the return. ...you can tell your spouse that you will agree to jointly file for an extension. The extension runs to October 15 and to be valid must be accompanied by any payment due. You can file separately. This actually may be best because a married separate return can be amended to a joint return after you have had a chance to review the return with a lawyer or accountant of your choosing. You can also file an extension separately. In that way you are not committing to a joint return until you have a chance to look. The separate return or the extension are scary in their own right mainly because you know that failing to sign the return is going to make your spouse VERY ANGRY. It’s a pretty common ploy and people are not always at their best during tax season anyway. The real answer is to write an email to your spouse this weekend. “Dear Spouse. It’s about to be the second week of April. If you are expecting me to sign a joint return I need time to look at it. If I don’t have the return to look at by Friday April 11, I’ll arrange to file separately or file for an extension. That’s only fair. I endorse Ashton's recommendation that you sent this email or letter, and I think you should do it today if you have not yet signed your tax returns. You are going through a divorce. You may feel that your spouse is a "control freak." Remember that you do not have to blindly follow your spouse's demands on any issue, including issues related to the filing of your tax returns.